Yesterday we invited some wine merchants to taste some excellent wines from California. 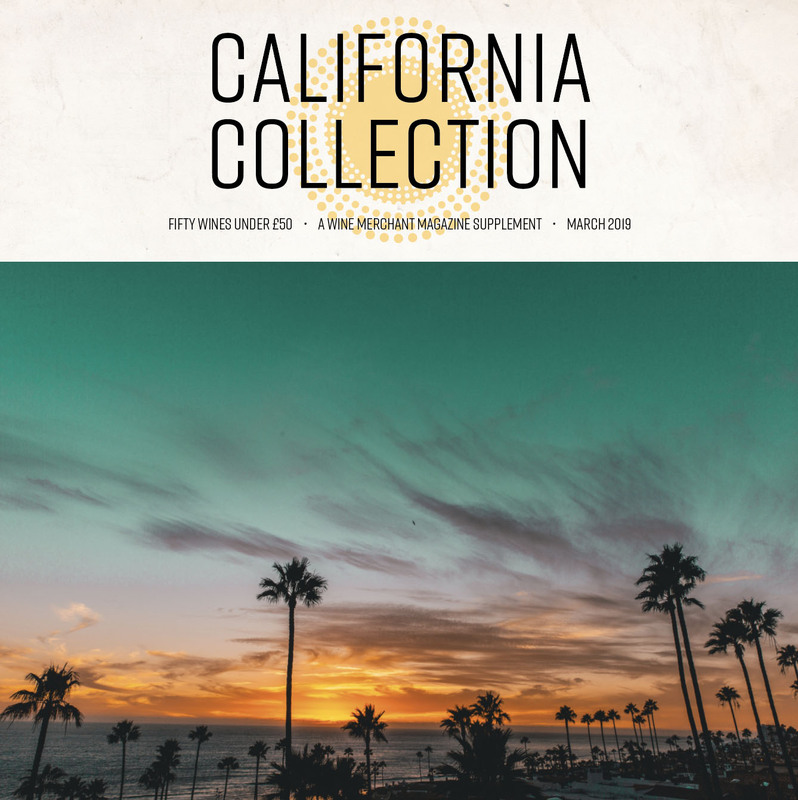 There were 160 in all and the 50 we liked most will feature in our California Collection supplement next month. At one point there was a discussion about a particular Pinot Noir. Judge A: What do you think of it? Judge B: I’m not keen on the nose. Judge A: I love the nose. Really farmyardy. I love the wine, it’s that lovely clean European style. Not jammy and sweet. Judge B: So what you’re saying is you want California to make Burgundy, even though it’s obvious that it can’t. Surely it should be making wines with a sense of place rather than trying to mimic a part of the world with completely different growing conditions? It’s a point that crops up all the time in tastings. Almost everywhere in the world, winemakers are opting for fresher, cleaner styles. Often that means trying to ape wines from Burgundy, Alsace, the Loire, Champagne or Bordeaux, which strikes me as a little unambitious and undignified. For me (because I was Judge B), California Pinot Noir should taste like it comes from California. By all means dial down the jam and the alcohol, if you can. But have some faith in your own terroir. At The Wine Merchant, we fear change, and get stuck in our ways. The magazine’s design has barely changed since we launched in 2012 and frankly it was time for some tinkering. So we’ve given the magazine a little overhaul and you’ll see the results of our creative burst on January 15. It’s not a radical redesign, but we think you’ll enjoy the new look. We’ve kept the regular features that we know readers want us to retain but also introduced some new ones. At long last there’s a dedicated spirits section, reflecting the category’s growing importance in the independent trade. We’re even bringing in a regular column about beer. And there’s a new section called Rising Stars, celebrating the contribution that younger people are making to independent wine merchants of all sizes. And, if you haven’t spotted it already, we’ve also given our website a bit of a once-over. We’ll be updating more regularly than we’ve normally managed to do. Maybe that will go for the editor’s blog, too. We live in exciting times. For a while, Ruth Yates was banned from The Wine Merchant magazine. She was one of a small number of high-profile independents who, through no fault of their own, were getting a disproportionate amount of media exposure. Or so it seemed to us when we launched the magazine in March 2012. So for the first several issues of the magazine, we didn’t really mention Ruth at all, along with a few other big names. 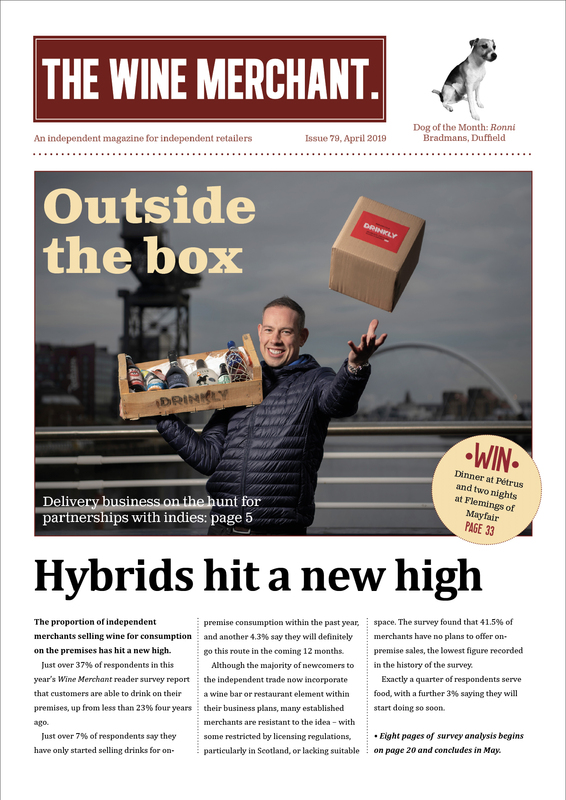 We were on a mission to demonstrate that the independent trade was bursting with innovative and interesting people, beyond the handful of personalities on whom the trade press at the time seemed to fixate. This was of course grossly unfair to Ruth, whose only crime was to be an engaging, energetic and intelligent woman running a successful and expanding business, in the form of Corks Out. It wasn’t long before she started making regular appearances in the magazine – not because she was demanding it, but because it would have been ridiculous – and impossible – to ignore what she was achieving. Ruth is parting company with Corks Out next month, which saddens a great deal of people. The company will sorely miss her drive, her vision and her charisma. From a wider trade perspective, we’ll miss having such an inspiring figurehead on the scene – someone who has helped revolutionise the independent market and who has always been happy to share her experiences, and talk frankly about the challenges she’s encountered over her 15 years at the helm. It sounds like Ruth has said goodbye to retail, a least for now, but let’s hope that the next chapter in her career keeps her in touch with the independent trade. Nobody knows the business better. I spoke to a wine merchant recently who had made her first visit to New Zealand for several years. She was impressed by how much the wines had improved. And shocked by how many vineyards were being bulldozed to make way for housing. There’s a very well-known producer in New Zealand that I understand is urging the next generation to find other ways of making money, because there’s precious little to be found even in New Zealand, a country which famously achieves RRPs that rivals can only dream about. How did we get to this point? It suggests that the wine trade’s economic model is broken. South Africa has for some time been struggling to elevate its prices. Here in the UK we regularly praise Cape producers for their exceptional value for money. But things are coming to a head thanks to the drought, that helped reduce the 2018 harvest by 15%. With Europe also experiencing shortages, it’s a good time to demand higher prices. There will be fierce resistance, but while the arguments continue, more South African growers will be ripping up vines and switching to citrus or beef production. Currently a third of them operate at a loss. That can’t be sustainable. Yesterday I fulfilled one of my life’s ambitions. I planted a Pinotage vine in my home county of Sussex. Of course that isn’t true. As far as I’m aware, nobody has previously discussed the possibility of an English Pinotage vineyard, even as a joke. And yet now one really exists, at Leonardslee Gardens, near a colony of wallabies. I really did plant one of the vines. It even has my name on it. As winemaker Johann Fourie says, the vineyard might make a decent red wine, and it might not. Nobody can know for sure. But if it doesn’t, it will add some South African spice to The Benguela Collection’s sparkling wines, due to arrive in 2023 with fruit grown at nearby Mannings Heath. You’ve got to admire the ambition. I hope the people drafting the Sussex PDO are taking note. We had one of those nights recently when there was hardly any food in the house and hardly any time to cook what was actually there. We resorted to the “orange option” of fish fingers, oven chips and beans. What kind of wine would you match with a meal like that? There was a half-finished bottle of Ribera del Duero on the table. So we poured a couple of glasses. It tasted absolutely fine. Maybe we worry about this stuff too much. The Beaujolais tasting is turning into one of my favourite events of the year. Not that I’m a particular aficionado of Beaujolais. I quite like the stuff – just not as much as the wines from most other corners of France. But I do enjoy the annual tasting, organised by Westbury Communications and held at The Trampery in Old Street, London. It’s a venue that’s easy to get to (a couple of minutes’ walk from the Northern Line), has decent natural light and manages to maintain a comfortable temperature, even on a sticky day like yesterday. The wines are numbered, so they’re easy to navigate and correspond with the listings in the tasting booklet. The booklet itself is spiral-bound, and full of clear and concise information about importers, producers, viticulture, vinification and prices. And there is space to write notes. There are producers to chat to, if you want, but they won’t detain you if you just want to whizz around the tables in free-pour mode. All of the above sounds pretty simple. Hardly worthy of mention, perhaps. Yet so many tastings get these things wrong. Where would we be without wine journalism? The answer is Turkey. Among the very many things I learned this week in a short visit to the brilliant Kavaklidere vineyards and winery in Pendore (a couple of hours east of Izmir) was that the Turkish government has banned wine criticism, at least as we would recognise it. Journalists aren’t allowed to review and recommend wines. Advertising is off limits. Taxes are punitive. Wine tourism isn’t likely to get going any time soon so it was a real privilege for us, as foreigners, to see the scenery and facilities over a memorable couple of days in the company of a young and enthusiastic Kavaklidere team. Our group of five independent merchants arrived with an open mind and left convinced that Turkey deserves the chance to prove itself on their shelves. The wines are terrific, but will need some hand-selling. They’re worth the effort. A bit of media exposure will help their cause, too. It’s a tragedy that Turks don’t get the chance to read about their own wines, but thankfully Turkish law doesn’t apply to The Wine Merchant, and we’ll be reporting on the visit in more depth in our July issue. Our stand at the London Wine Fair was pretty much packed from the moment we opened for business on Tuesday morning right the way through to closing time on Thursday evening. We had a great crowd and it was good to see so many independents tasting the Top 100 wines that we’d opened. Not everyone who came along was an independent merchant, of course, and that’s absolutely fine. Indies make up a small percentage of the fair’s traffic and we expected to see our fair share of consultants, Majestic managers and the rest. We don’t tend to be sniffy about this: some of these people are the independents of tomorrow, and we’re happy to let them sample our winning wines. But, as with so many London tastings, there’s a small freeloading element. They don’t tend to find much use for spittoons. They have a habit of talking loudly and leaning on counters, often with their lunch in front of them. They are particularly curious about expensive Champagnes. We’ve become pretty astute at spotting these characters and moved them on without ceremony once we’d clocked them, and by and large they didn’t put up much of a protest. And to be honest, as proceedings drew to a close on Thursday afternoon, we didn’t bother chasing after the guy who swiped the two three-quarters empty bottles of red when he thought we weren’t looking. The well-dressed lady in her 60s who reckoned it was OK to help herself to the remaining bottles in our fridge was encouraged to find her fun elsewhere, without us resorting to any unpleasantness. But bravo to whoever nicked our branded hessian bag and our green stickers (required for any bottles removed from the show with the blessing of the stand owner) – we didn’t spot you at all. Actually, by that point we’d started to feel a bit sorry for our freeloading fraternity. If getting pissed on the cheap at a trade fair is how you get your kicks, what on earth does that say about your social life? Are independents beginning to look the same? For several years now independent wine retailers have proudly broken the mould with their new (or refurbished) shops. Gone are the dark, intimidating caves of yesteryear and instead we have big windows, bright lights, exposed brickwork, stripped floors and chalkboards the size of snooker tables. The trend has been universally welcomed as a good thing, attracting the kind of customers who were traditionally intimidated by wine merchants – typically women and younger or less wine-savvy consumers. An interesting article in The Oldie skewers the concept, at least a little. “A common complaint about chain shops is that they make all towns look the same but most independent shops slavishly follow a look, too,” it points out. We all like to think we can spot a great wine when we taste one. But is it worth the price tag? This was a dilemma that reared its head all yesterday afternoon at The Wine Merchant Top 100 judging. So what kind of score do you give a wine that’s technically brilliant but which you’d feel uncomfortable selling at the same level as other wines that are even better? In our competition, you have to deduct a few points. It’s harsh, but then it’s a harsh trading environment. If a customer walks into a wine merchant and is persuaded to spend £30 instead of their more usual £15, the seller needs to have faith that the buyer will see the benefit of that extra investment. If they don’t … why would they want to return? It’s not controversial to say that supermarkets have less interesting wine ranges than they used to offer. It’s absolutely true to point out that the number of wines available is falling. And it’s a basic law of economics that you can’t go on hitting £5, £6 and £7 price points year after year on the same wines – in the face of duty increases and an escalation in other fixed costs – without quality suffering. Independent merchants don’t complain about any of this. It’s playing straight into their hands. While supermarkets gradually reduce their focus on wine, independents become even more distinctive with their offer. That’s why Saturday Kitchen’s pledge to bring independents into the fold, as reported in our February issue, isn’t an act of charity, but a sensible editorial judgement. It does mean a bit more leg-work on the part of the show’s roster of critics. But the results will be better for everyone: producers, suppliers, merchants and viewers. Yes, it’s been a long time coming, but perhaps those of us who have carped from the sidelines about Saturday Kitchen’s supermarket fixation didn’t fully understand the regulatory environment imposed by Ofcom and the BBC. What seems to have emerged from recent dialogue ought to keep everyone happy. I find it just as confusing being asked the far more general question: what kind of wines do I like? It’s a subject that rears its head a lot in discussions with independent merchants. The accepted wisdom is that you get to know your customers, and their tastes, and recommend/sell accordingly. I don’t think I’m a particularly helpful client. I have no idea what my own taste in wine is, and it’s not through any lack of experimentation. Assuming we’re not talking about stuff that’s genuinely ghastly or bland, I find there’s something to latch on to with most styles of wine. I can experience pleasure with wispy Pinot Noirs and weapons-grade Shiraz. I’ve got excited by lean, austere whites but also oaky Chardonnays that almost resemble olive oil. I find much to admire in funky natural wines that make your head spin, but also appreciate wines so clean and precise that they might have been developed by NASA. My buying history must look like it’s just randomised data. All I can really say for sure is that I don’t like retsina, but perhaps I just haven’t met the right one yet. I know people who claim to have a particular taste in wine, and good luck to them. But I don’t envy them their narrowed-down choices. I won’t live long enough to try all the wines on my to-do list. It would take at least another lifetime to rank the wines I have tried into any sort of order. And even after I’d done that, I’d want to change my mind. There are, famously, more Armenians living outside Armenia than within it. Thankfully Zorik and Yeraz Gharibian have returned to their ancestral roots and are making wine there. I tried some of their efforts yesterday, under the Zorah label, at the Liberty Wines tasting. The back story is as captivating as the wines themselves. Gorbachev wasn’t a fan of wine production in the Soviet Union and decreed that Armenia’s vineyards should be uprooted on public health grounds. And so it was that in the cradle of viticulture, vines were ripped out and winemaking abandoned. Some vineyards escaped the purge because they were simply too high or remote to bother about. In the Yeghegnadzor region, where vines had flourished at altitudes of up to 1,600 metres, the vineyards just went wild. Zorik and Yeraz, diaspora Armenians living in Italy, decided to go back to their homeland and revive an ancient art. They’re doing so with a choice of up to 60 indigenous varieties to work with, notably Areni Noir. They’ve tamed the wild vines and planted more of their own. The results are superb. Wine selling, we’re told, is all about stories. I’m sure The Oval was brimming with them yesterday, but I doubt any were quite as inspiring as this one.